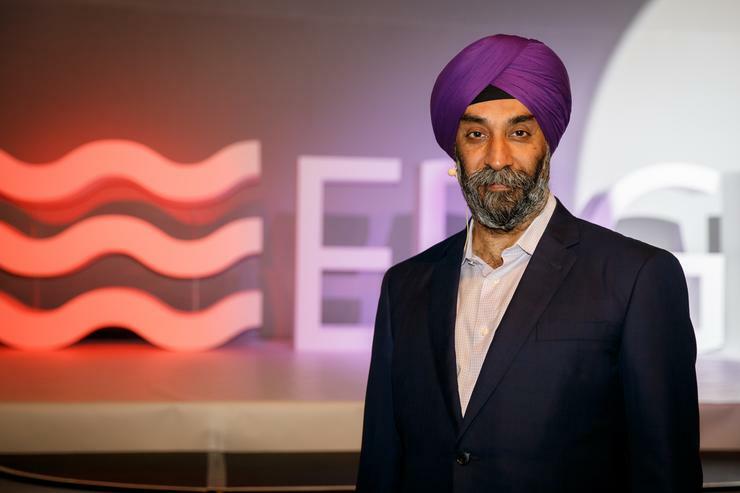 Professor Mohan Sawhney of the Kellogg School of Management pressed pause to outline the future channel opportunities during the opening keynote of EDGE 2017. As the old Chinese curse goes, may you live in interesting times. And these are interesting times. I’ve been at the intersection of technology, marketing and innovation for 25 years and I’ve not seen so much change happen so quickly in my entire career. During the last five years alone, we’ve seen a transformation in the way that IT is procured, provisioned, sold, distributed and supported. 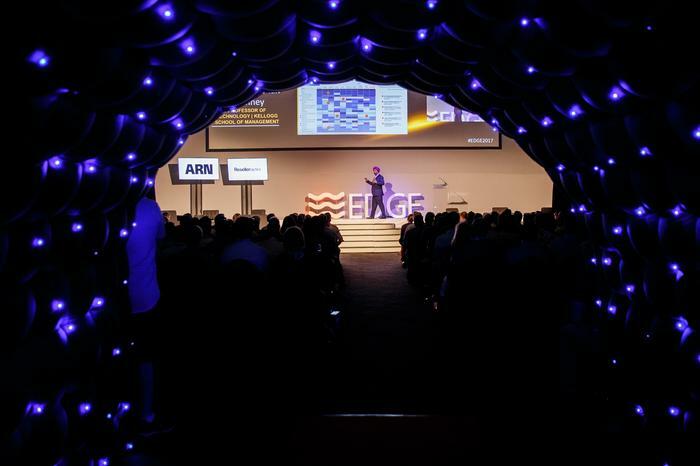 That is being driven by the changes in consumer behaviour and the emergence of the cloud, which has very dramatic implications for the channel. We’ve seen channel disruption in the consumer space with Amazon completely changing the economics and the industry landscape of retail. Oh, and they have also built a very large business on the side, around cloud and data infrastructure! But what are the lessons that we can draw in the channel? Because you will have to reinvent yourself if you’re going to stay relevant. In fact, one argument could be made as we think about the cloud, and that’s who even needs a channel? In the old days, we had boxes that needed to be sold, software that needed to be supported and customers that required assistance. If you examine the core elements around the value proposition of the channel, whether it is system integration, installation or maintenance - most of these things are now starting to go away. So, an argument could be made about the channel lacking relevance. But obviously, this is a simplistic argument. Channels never get destroyed, they get transformed. We just have to find new ways of adding value. If you look at what the cloud does, many of its benefits to customers create challenges for the channel. For example, small businesses now have access to enterprise class infrastructure, provisioning is at the flick of a button and scalability is infinite. That’s an important point because friction equals profits. Wherever there was friction in the installation, maintenance and deployment, that resulted in profits for the channel. So, the elimination of friction causes an impact on profits. To quote Charles Dickens - “It is the best of times, it is the worst of times”. Because the channel is going to be critical in the faster adoption of cloud computing. Yet at the same time the channel isn’t ready, it needs to change. On the one hand, you are going to be called upon for help, but on the other hand, you are going to be called upon to transform. And if you don’t transform, then it doesn’t matter how big you are, how long you’ve been around in the market, you will die. Adaptability is the key to success in the future because we are all faced with disruption. I hear digital disruption a lot but we all get hung up on what it actually means. Well, let me offer you a very simple explanation - “applying digital (mobile, cloud, analytics) technologies to deliver disruptively superior customer value by transforming products, channels, business models, markets and user experiences”. At the end of the day, disruption is meaningless until someone will pay for it. It is the creation of customer value that is disruptive. And how do we do this? We can do it in lots of ways. We take a product and convert it into an on-demand service, that creates customer value. We make provisioning and installation go away, that creates customer value. We allow people to scale up or down depending on the resources they require, that creates customer value. It’s the transformation of a product, the transformation of a channel, the transformation of a business model, the transformation of a marketplace and the transformation of a user experience. But the end goal is the same and you should benchmark yourself against disrupters when offering customer value. You must understand what the end customer wants as it will not be possible for you to transform yourself until you understand how your customer is being transformed and being disrupted. Digital disruption is manifesting itself in different ways however because you all have customers in different industries. For example, look at businesses that are customer intensive. Businesses that have millions of interactions with customers very frequently, such as banks, airlines, hospitality and retail organisations. In this case, transformation is coming through customer interaction and customer experience. They focus on managing the front office, transforming their channels, leveraging social media and call centre operations - that’s where the low hanging fruit is.